WIN invites you to tune in for an exciting, informative, and inspirational webinar on servant leadership. Hear as Stanford alumnae from diverse sectors – government, technology, nonprofit, philanthropy – share their experiences and leadership lessons as servant leaders from their professional and personal journeys. ​Dr. J. Nadine Gracia is the Executive Vice President and Chief Operating Officer at Trust for America’s Health, a nonprofit, nonpartisan public health policy, research, and advocacy organization in Washington, DC. 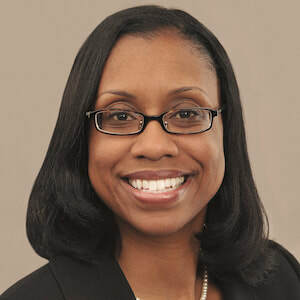 A champion of equity and opportunity, Dr. Gracia served in the Obama Administration as the Deputy Assistant Secretary for Minority Health and Director of the Office of Minority Health at the U.S. Department of Health and Human Services (HHS). In that capacity, she directed federal policies and programs to end health disparities and advance health equity, oversaw a $57 million budget, and provided leadership on administration priorities including the Affordable Care Act and My Brother’s Keeper. Previously, she served as Chief Medical Officer in the HHS Office of the Assistant Secretary for Health, where her portfolio included the White House Council on Women and Girls, disaster preparedness, environmental health, and global health. Prior to that role, she was appointed as a White House Fellow at HHS and worked in the Office of First Lady Michelle Obama on the Let’s Move! initiative to solve childhood obesity. A first-generation Haitian-American and pediatrician by training, Dr. Gracia received a Bachelor of Arts in French with Honors from Stanford University, a medical degree from the University of Pittsburgh School of Medicine, and a Master of Science in Clinical Epidemiology from the University of Pennsylvania. Active in civic and professional organizations, she is a Community Engagement Co-Lead on the Stanford Alumni Women’s Impact Network Board, is a member of the Aspen Global Leadership Network, and serves on the National Social Action Commission of Delta Sigma Theta Sorority, Inc.
​Tamara Alvarado is the Executive Director of the Leo M. Shortino Family Foundation based in San Jose, CA. 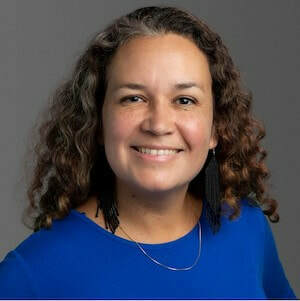 Before becoming the Executive Director of the Shortino Foundation, Tamara served as Executive Director for the School of Arts and Culture at MHP in East San José since it was started in 2011. During Tamara’s leadership at the School of Arts and Culture, the School and the Mexican Heritage Plaza earned a positive reputation for their commitment to their East San José communities and the excellence of their programs. Prior to her service at the School, she was director of the Multicultural Arts Leadership Institute at 1stAct Silicon Valley before it became a program at the School of Arts and Culture, and was Executive Director of MACLA/Movimiento de Arte y Cultura Latino Americana in San José. She is the Vice Chair of the Western State Arts Federation and a long time traditional Aztec dancer and member of Calpulli Tonalehqueh Aztec Dance. Tamara has a bachelor’s degree in Spanish Literature with an emphasis in Chicano Studies from Stanford University. 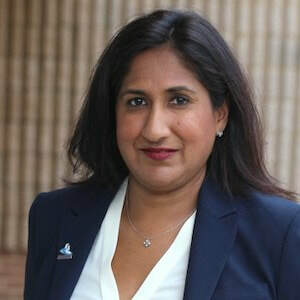 ​Roopal Saran is the Executive Director of the Literacy Council of Northern Virginia where she is responsible for strategic planning, managing a $1.2 million budget, a staff of 15, board development, and adult literacy and beginning-level ESOL educational programs. She previously served as the Director of Account Management at KaBOOM!, a national non-profit dedicated to bringing balanced and active play to the daily lives of all kids. Prior to KaBOOM!, Roopal worked at First Book, a national non-profit literacy organization, as Senior Director of Community Development. Before her move to the nonprofit sector, she worked as an attorney representing school districts and state Departments of Education. Roopal received her BA in English and MA in Education from Stanford University and her JD from the University of Illinois at Urbana-Champaign. She serves on the National Advisory Board of the Haas Center for Public Service, the hub for service at Stanford University that serves as a model for how universities prepare students to be of greater service to the public. She currently lives in Falls Church, VA with her husband and three children, where she volunteers with her local elementary school PTA and her local Girl Scouts council. ​Regina Wallace-Jones is a dual career professional, leading in the capacity of tech executive and public servant. Regina is the Vice President of Product Operations at Mindbody Inc., a company whose mission is to connect the world with fitness, beauty and wellness. Regina has previously worked as a tech executive at Yahoo, eBay and Facebook in various capacities. Regina is a big believer in civic engagement. She is the founding board president of StreetCode Academy, a patron of Black Girls Code, a board member for Women Who Code, and a partner of the Lean In Foundation which advocates for women pursuing their professional ambitions. 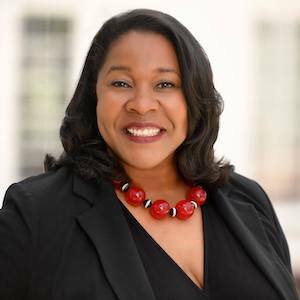 She has also held several local and regional leadership positions in Delta Sigma Theta Sorority, Inc., including Chapter President of the San Francisco-Peninsula Alumnae Chapter and Regional Technology Chair of the Farwest Region. Most recently, Regina was elected to East Palo Alto City Council and is now serving in the capacity of Vice Mayor of the city. In this role, Regina hopes to support the city and its residents in a robust evolutionary journey as it realizes its potential as the gateway to and the conscience of Silicon Valley. Masters from UCLA in Public Policy with Emphasis in Technology Policy. She is married to Steffond Jones, a Sr. Software Engineer and Apple veteran. Together, they have two beautiful daughters, Addison and Jocelyn Jones. The concept of servant leadership dates back thousands of years, and the modern definition of servant leadership was coined by Robert Greenleaf as “The servant-leader is servant first…It begins with the natural feeling that one wants to serve, to serve first. Then conscious choice brings one to aspire to lead.” “Servant leadership is a philosophy and set of practices that enriches the lives of individuals, builds better organizations and ultimately creates a more just and caring world.” You can learn more about servant leadership here and here. We welcome all Stanford alumnae and students interested in social impact and/or gender equity to join us and connect for this retreat! Space is limited, so please register early to secure your spot. Join the official SAA club here to learn about all upcoming WIN events.